1. Ward, Willie Iggy Joe Star (Pa.) Star-229 1958/Nov. 2. Ward, Willie Be Mine Star (Pa.) Star-229 1958/Nov. 3. 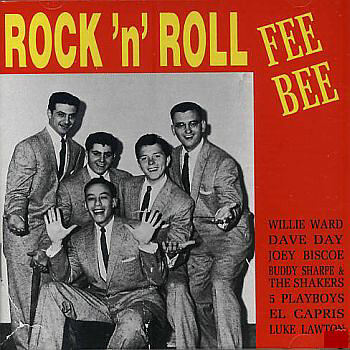 Ward, Willie Oo-Wee Baby Fee Bee (Pa.) FB-233 1958/Nov. 7. Day, Dave Diddle Blue Moon Baby Fee Bee (Pa.) FB-212 1957/Apr. 10. Sharpe, Buddy Linda Lee [alt. vers.] [unissued] uniss. 12. Sharpe, Buddy Bald Headed Baby Fee Bee (Pa.) 230 1958/Nov.